Originally from Western New York, Kaley Laird’s interest in cooking was sparked as a young child decorating Christmas cookies with her mother. She got an early start in the professional kitchen, too. At just 31 years old, Kaley boasts an impressive resume with more than 13 years of culinary experience. 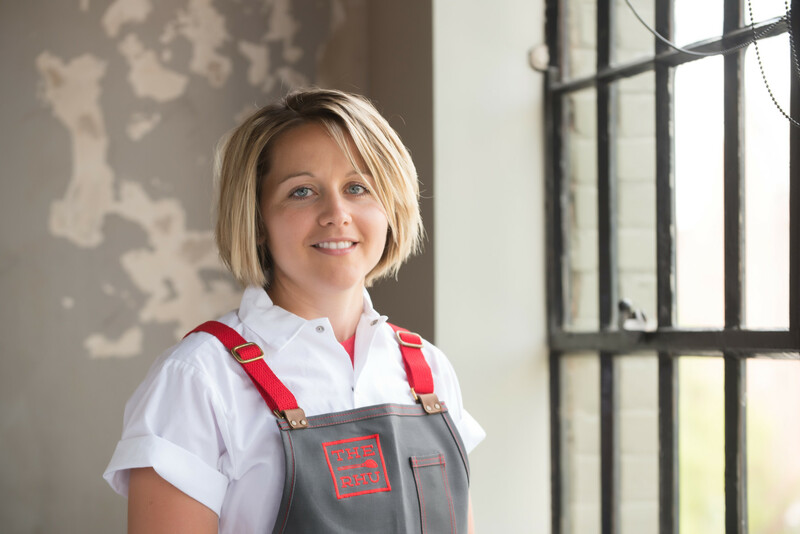 Kaley honed her pastry skills at the Culinary Institute of America, Hyde Park Campus and graduated with an AOS Baking and Pastry Arts in 2007. She held the position of Pastry Commis at Bouchon Bakery in Yountville, CA, where she won the Core Award, an honor bestowed upon the individual that best displays the CORE values of the Thomas Keller Restaurant Group. She’s also worked as Pastry Chef at Michelin starred Ubuntu Restaurant in Napa, CA; Executive Pastry Chef at The Carneros Inn in Napa Valley; and Executive Chef and Pastry Chef at Aveline Restaurant in San Francisco, before returning to the East Coast to join the team at Rhubarb. Kaley is a classically trained French pastry chef with a distinct edge. She utilizes her experience with savory ingredients to broaden her repertoire of flavor combinations to create distinctly unique desserts using local, fresh and seasonal ingredients. Laird’s motto is “Flavor first. Just because a dish isn’t traditional, doesn’t mean it won’t be amazing.” Using her own dietary restrictions as inspiration, she is skilled at creating both dairy- and gluten-free options. We had to find our more about Kaley’s unique style, so we had her answer a few of our baking-related questions and share a recipe featuring Bob’s Red Mill products, so we can replicate it at home. Truth be told, I do not cook or bake outside of the work kitchen anymore. I will only cook if I have someone to cook for or to cook with, and I never bake unless it’s requested or ordered. The rare occasion that I do bake for someone, the item varies with the person. I try to figure out what makes that person the happiest. Though, I will say that my brownies are usually a winner across the board, no matter who I am baking them for. What is your favorite thing about your work at Rhubarb and The Rhu? My favorite thing about my work at Rhubarb and The Rhu is first and foremost my team and staff. We are a family, I try very hard to keep everyone leading a healthy lifestyle and maintaining work-life balance, while keeping work as fun as possible. We spend long hours with each other every day in close quarters, and it’s important that we enjoy each other and what we are doing together. Second to my team is the variety of product and work that we get to do daily. I cover the spectrum in my department when it comes to baking and pastry: bread, plated desserts, wedding cakes, breakfast pastries, laminated products, ice creams… you name it, we make it. The variety keeps everyone moving, learning, and ideally, interested. In my baking, I am very savory-forward. There are no limits to what I will use. Some may think that using items such as peas or mushrooms in my desserts is highly unique or different, but to me it’s just everyday use of ingredients that are local and seasonal. Honestly, when it comes to baking and pastry my additions of salt and vinegar are more unique than other ingredients that I use. Pastry has long been perceived as solely sweet, but people forget the cornerstones of cooking and how much of a difference salt and acid make in everything that we create. Very classic and traditional recipes will often omit or not include salt or an acid, but I always include either in everything that I make. Do you have a favorite Bob’s Red Mill ingredient? If so, what is it? My favorite Bob’s Red Mill ingredient is their Coconut Flour. I am gluten intolerant (not by choice) and also try my best to cater to other gluten-free eaters at Rhubarb and The Rhu. There are many flours out there that work well, and everything has its own unique flavor and texture. I personally love using the coconut flour as an addition in my gluten-free cakes: It has a mealier texture, and rich flavor, much like that of a nut flour. The coconut flavor notes are never too overpowering and the natural fat adds richness, though it does seem to absorb more liquid than most flours and can be slightly crumblier in texture. I have had great success with it. Some of my favorite cakes are made with this flour! Asheville, where Rhubarb and The Rhu are located, has a booming brewery scene. 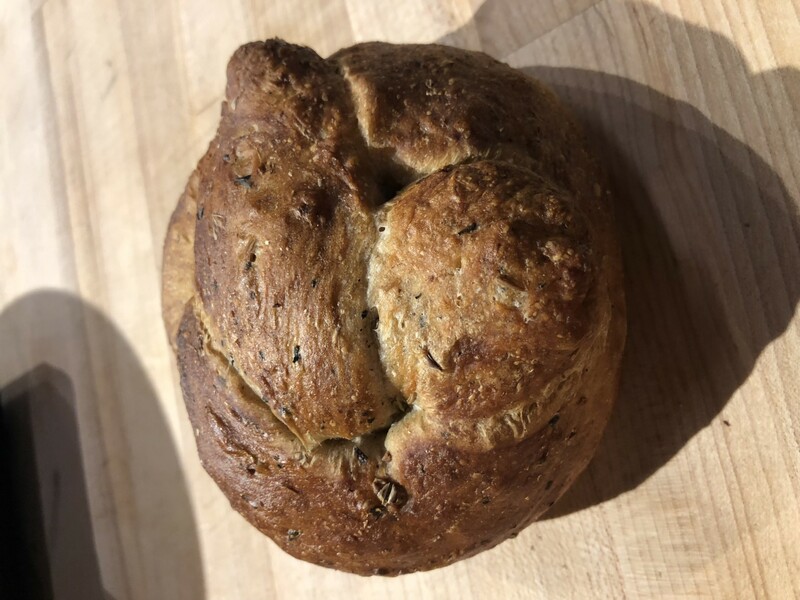 We love that Kaley built this basic and multi-purpose dough recipe around spent grain, a by-product of the beer brewing process. (Did you know every six-pack of beer creates one pound of soaked grains?) Because the brewing process takes out sugars, spent grains have a lowered gluten content. That’s why Kaley’s recipe calls for a high gluten bread flour and a dash of Bob’s Red Mill Vital Wheat Gluten. This versatile dough can be used to make bagels, free form loaves, or pan loaves. Episode | New York's Hottest Fall Festival is Back!